The third series of Hajime no Ippo. Ippo continues to defend his Japanese Featherweight title from an ever stronger pool of challengers. Meanwhile, Takamura challenges for his second WBC title in the middleweight class, and Aoki challenges for the Japanese Lightweight title. 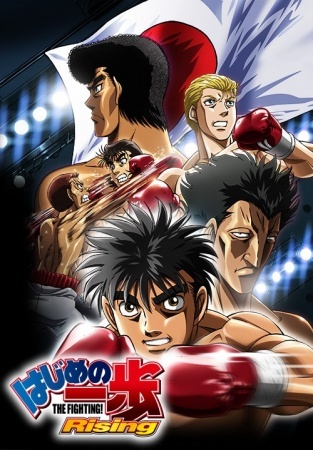 Watch Hajime no Ippo: Rising Episodes Online at Animegg.org. Hajime no Ippo: Rising is available in High Definition only through Animegg.org. Choose an episode below and start watching Hajime no Ippo: Rising in Subbed & Dubbed HD now.